Put your organization "center stage"
Thank you for taking time out of your busy schedule to speak at our Rotary Club meeting. To show our appreciation, we are offering you a chance to "spotlight" your organization in our Rotary Engage! newsletter. The reach of this newsletter is exponential, with a large email list and an active social media following that's growing all the time! We want our members and the local community to know about your organization and its important impact on our region! Please accept our offer to make a one-time contribution to our newsletter! Subscribe to our Rotary Engage! newsletter. You, along with other members of your organization will have the opportunity to subscribe to our newsletter, keeping you informed about our Club's community involvement, along with other Spotlight Speakers and community partners! Send us a "Speaker Spotlight" article. A paragraph or two that will summarize the work your organization does and its involvement in our community is all it will take - along with an image or two! We want to help you get your message out! Keep up with organizations & events in our community. Let Rotary help you get your organization's message out! 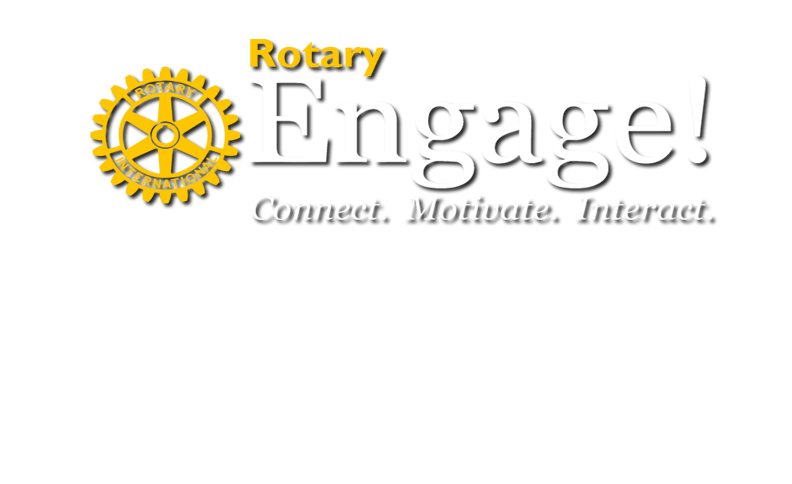 To learn more about our Rotary Club, please visit our Chatham Rotary Engage site!